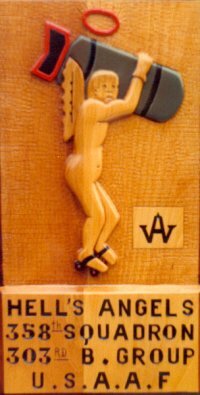 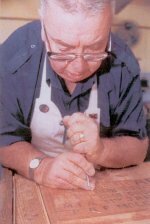 Master Wood Carver William F. "Bill" Adams is a remarkable and talented man. 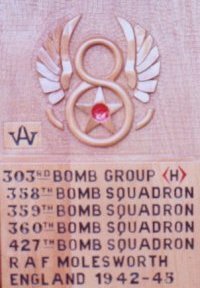 Bill, as a young lad, became enamored with the Eighth Air Force as the result of the kindness of an American Pilot who comforted him in an air raid shelter and gave him his Pilot wings. 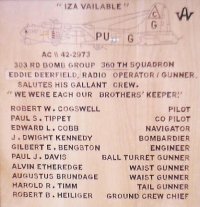 Bill's carvings, donated to his many friends, now exceed 500 and have been made for almost 30 different Air Force Units and 10 museums. 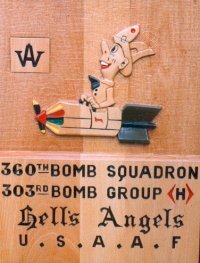 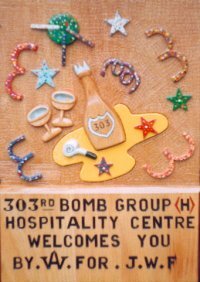 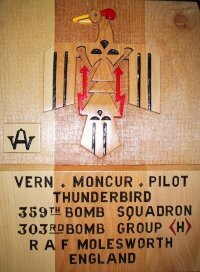 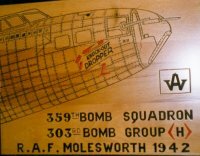 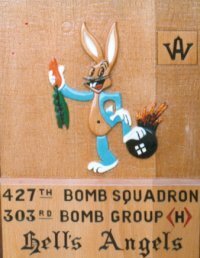 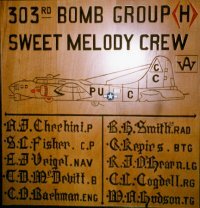 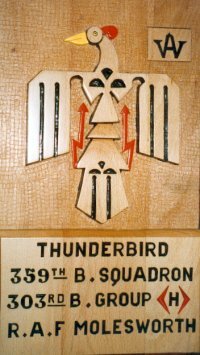 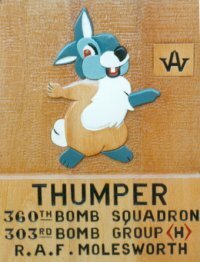 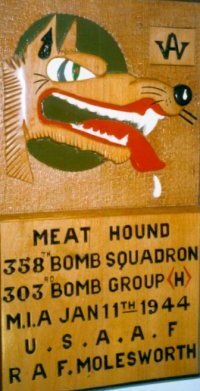 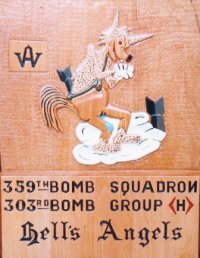 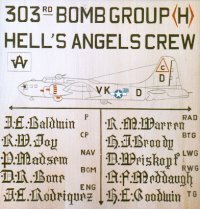 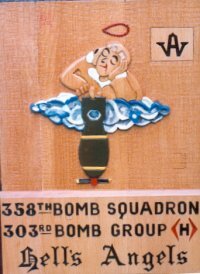 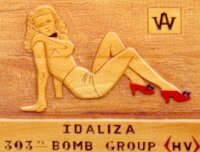 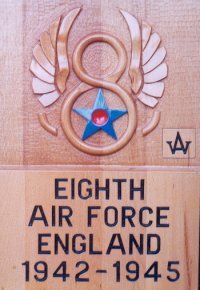 Bill has completed over 100 303rd BG(H) related carvings. 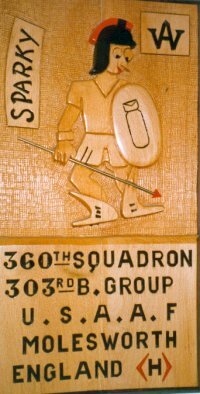 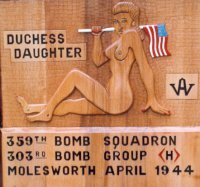 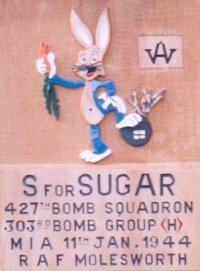 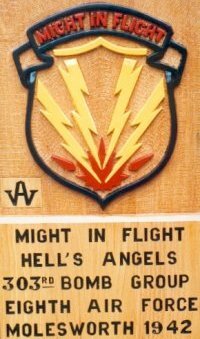 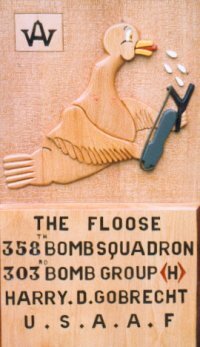 Many have been carved for 303rd BG(H) members who now have a deep respect for his generosity and friendship. 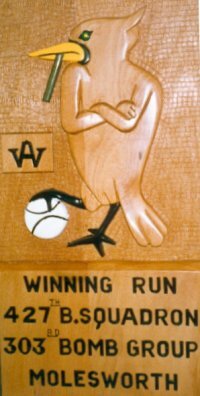 In July of 2003 a plaque honoring Bill Adams was purchased by his many friends. 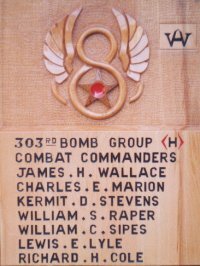 It is on display in the Memorial Gardens of the Mighty Eighth Air Force Heritage Museum in Pooler, Georgia. 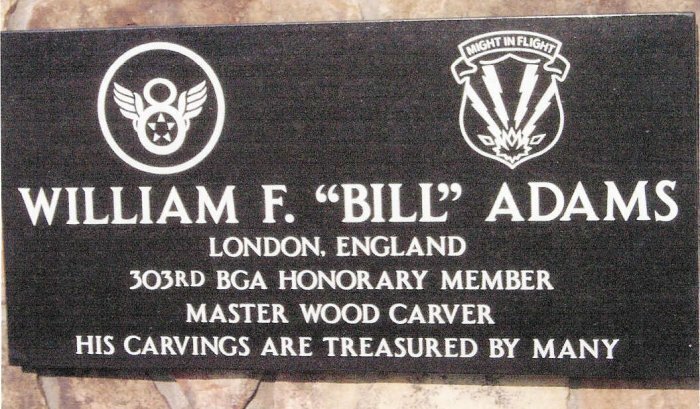 Bill passed away in London on 22 August 2008. 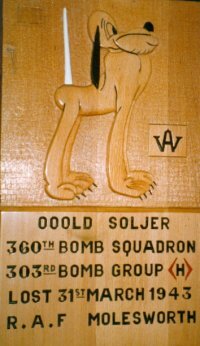 Below is a sampling of his beautiful artwork.